United States oil giant ExxonMobil has made its 10th discovery offshore Guyana at the Pluma-1 well. This latest discovery has increased the estimated recoverable resource for the Stabroek Block to more than five billion oil-equivalent barrels. “This is great news for Guyana….The country is on the cusp of transformational development for current and future generations and the news of ExxonMobil’s 10th discovery offshore Guyana is expected to facilitate the country’s realization of substantial social and economic improvements,” Director of the Department of Energy, Dr. Mark Bynoe, said yesterday. The Pluma-1, which is located some 17 miles south of the Turbot-1 well and follows previous discoveries on the Stabroek Block, encountered approximately 121 feet of high-quality, hydrocarbon-bearing sandstone. The well was safely drilled to 16, 447 feet depth in 3,340 feet of water. 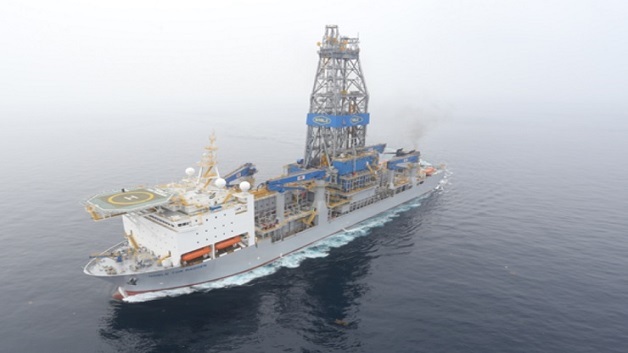 The Noble Tom Madden drillship began drilling on November 1, 2018.